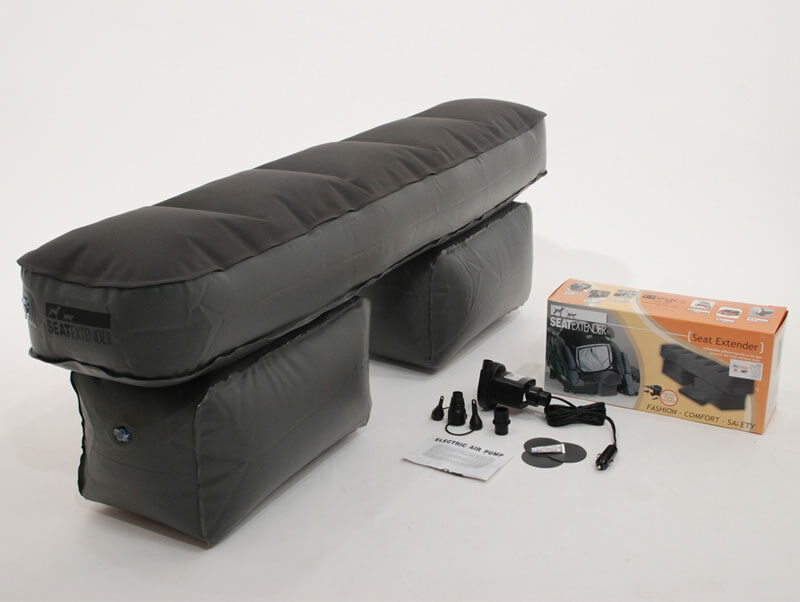 The PetEgo Seat Extender fills the space between the front and back seats of your car. It prevents your dog from falling in between seats and getting injured. It's also perfect for keeping crates or large carriers horizontal so they don't sit at an angle in your back seat. 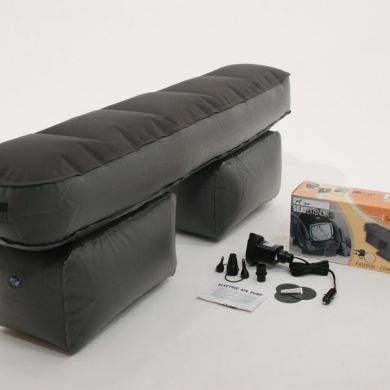 Made of durable PVC-backed nylon, just inflate the Seat Extender using the included electric air pump. When fully inflated it measures 124 by 25 by 33cm and is able to hold up to 75kg of weight. Read 3 customer reviews of EGR Seat Extender. The average customer rating is 5. Love this! My samoyed is 29kg and struggles to fit comfortably in our back seats before getting this. the seat extender fits perfectly in my Hyundai i30. It would work for bigger cars too. The material seems very durable, yet light. It did surprise me that it was one piece (I thought the bottom part was separate to the top), but it works even better than I had imagined as it doesn't slip out of place. Overall, extremely happy with the purchase! Bought the seat extender to give our 2 medium/large sized dogs a bit of extra space in the back seat of our car and it has worked brilliantly, they are much more relaxed and comfortable and we aren't worried as much that they will fall off into the footwell of the back seat if we have to brake suddenly. The pump that came with it is not very powerful however we solved that by using an air compressor to pump it up within seconds..
Another wonderful purchase from Waggle. My two standard poodles love the seat extender. The back seat is so much more comfy for my big girls now. I was a little concerned it might not be sturdy enough for the girls but its really strong and good quality. I phoned waggle to ask a few questions before purchasing and they were really helpful. As usual it arrived really quickly in the post. Thanks Waggle, we love the seat extender!